Streamline IT risk management with comprehensive solutions that help protect against threats, maintain data integrity and address compliance requirements. 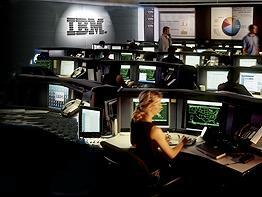 Our IBM Security and Privacy Services help you manage IT risk while achieving business innovation. Our Managed Security Services are powered by the most up-to-date security intelligence in the industry. Comprehensive, flexible internet security systems solutions provide you with a selection of services that best meet your needs, whether those solutions are managed in-house, outsourced to IBM as a trusted security advisor, or a combination of both. Ours services can help you safeguard information assets, pursue new business initiatives securely, and proactively and cost-effectively manage risk. Data security services: Protect data and enable business innovation with our advanced solutions for data security, access and compliance. Threat mitigation services: Prevent Internet threats and reduce risk with our intelligent, flexible solutions for the entire IT environment.